I have had many recent conversations with young nurses from my graduating class, as well as the new graduates who joined our nursing team in January, about the process of building confidence in nursing practice. 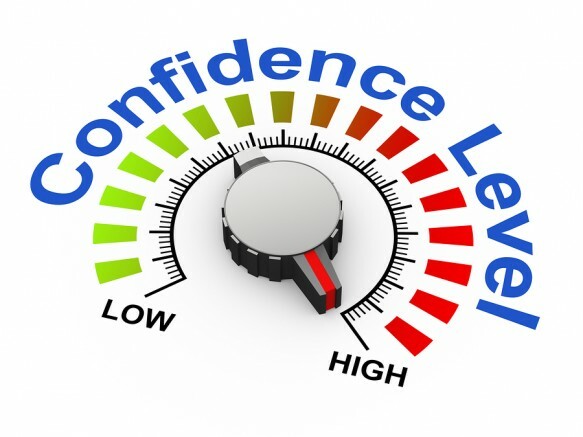 It would seem that for many, confidence is something that progressively builds over time. As our skills, knowledge, and experiences increase, we become more certain that the decisions we make are indeed the right ones. We learn to adapt more quickly, and to trust our instincts. For me personally as a new grad, I found that it took several months to really feel that I could trust my instincts and my decisions and stand strong in advocating for my patient’s care and for the decisions that I believed were the right interventions for my patient. I would say that there was probably a significant jump in my confidence at about five months into my nursing career. I felt at that point that I had learned to trust myself a bit more, and had gained valuable skills and experiences along the way. At our DHB, the new graduates do a department switch at six months. This meant getting “knocked back” a bit with my confidence as I was then in a completely new environment and relying on skills and judgment that I had not yet developed. I found, however, that this time around my confidence grew faster and within a few months I felt much more capable. In talking to others it would seem this is a common theme. I have found that confidence is something that grows (almost in a step-ladder type of fashion). It builds on the experiences and skills that you gain as you continue your nursing career. I say this to really encourage those young nurses out there who are starting out and are only just beginning to realise your potential within the nursing team. Remember that it is a process. It will come with time. Offer yourself the grace to recognise that it will take time to build the trust in yourself, and for the team in which you work to trust your judgment as well. It has also been my experience that the team you work with can either build or break down your confidence depending on how they respond to your nursing practice and your suggestions for patient interventions and care. Working with a nurse who is demoralising and cuts you down every moment of the day can really make you feel small and insignificant. It can be extremely hard to build your confidence in this circumstance. On the contrary, when someone encourages you and says that you have made the right decision, it can do wonders for building your confidence and your trust in your own decision making. I would like to challenge you to be type of nurse that lifts others up. Be the one who helps to build other’s confidence by offering words of encouragement to your colleagues. (Especially the young nurses and student nurses whom you might be working alongside). I am moving into a new role next week, and will once again be starting off in an area where my experience is limited. As I embark on this new journey, I am aware that at first my confidence may “take a hit”, but through my past experience I know that it will quickly build back up again. I am encouraged by this, and do hope that I will be lucky enough to be supported along the way by my colleagues. We can only hope that if we give good out, we will have good returned to us. Tags: advocacy, confidence, NETP, new grad, nursing, Stress, student, support | Permalink.